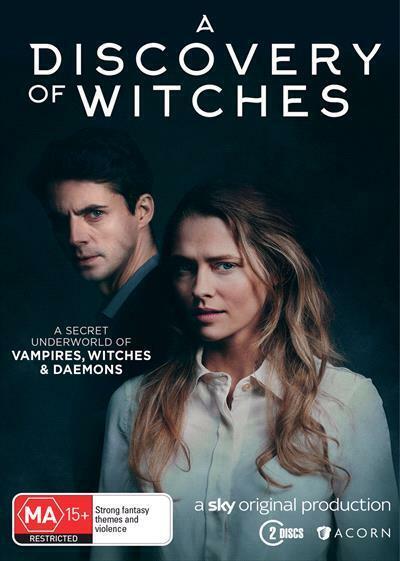 Adapted from Deborah Harkness' best-selling trilogy of novels, A Discovery of Witches is a bold and romantic thriller that uncovers a secret underworld of extraordinary beings hiding in plain sight for fear of persecution by humans - they are vampires, witches and daemons. Brilliant historian Diana Bishop is a witch denying her own heritage. But when she unexpectedly calls up an ancient, bewitched manuscript from Oxford’s Bodleian library, one that was thought by the creatures to be lost and could answer the mysteries of their existence, she finds herself thrown into the heart of a dangerous mystery - and into the path of the enigmatic geneticist and vampire Matthew Clairmont. Matthew is driven to solve the looming threat of the creatures' decline and extinction, but their unlikely alliance to find the book before it falls into the wrong hands and their deepening relationship - threatens to violate age-old taboos and shake the fragile peace that exists between the species.